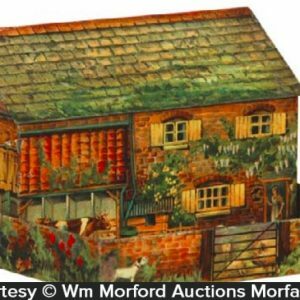 Scarce, early round variation tin litho 2 ps. 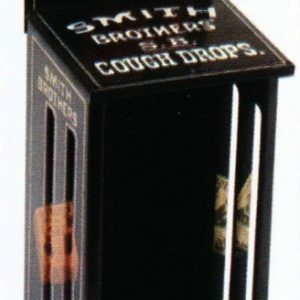 product tin for Smith Bros. cough drops, w/ detailed images of Co.’s trademark brothers all around sides and on lid. 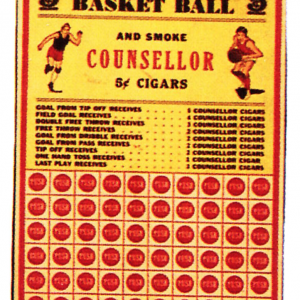 SKU: 78-346. 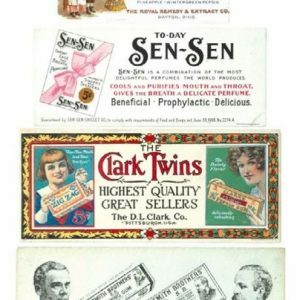 Category: Dental/Medicinal. 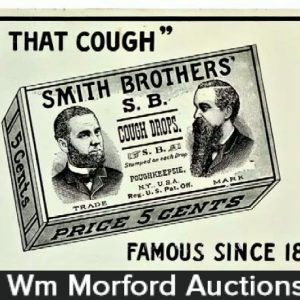 Company/Brand: Smith Bros., Smith Brothers Cough Drops. 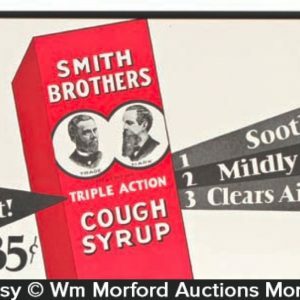 Smith Bros. Sb Cough Drops Tin: Scarce, early round variation tin litho 2 ps. 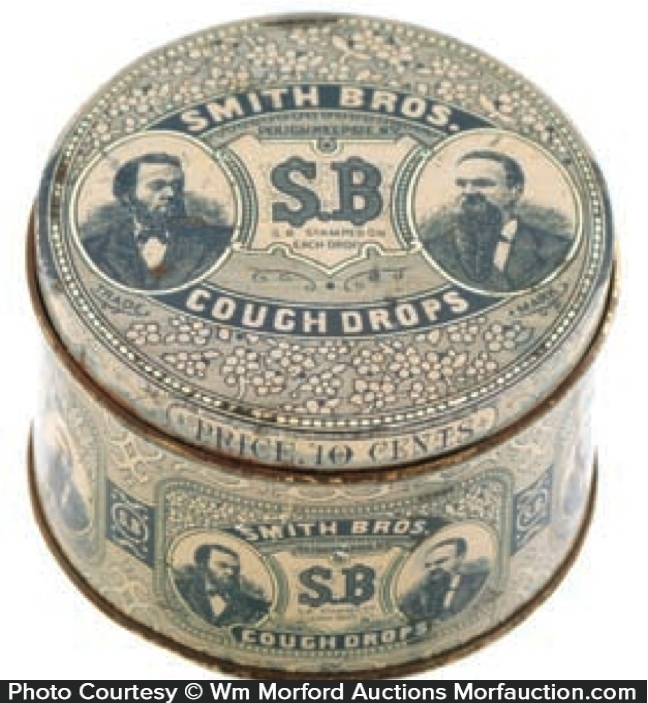 product tin for Smith Bros. cough drops, w/ detailed images of Co.’s trademark brothers all around sides and on lid. 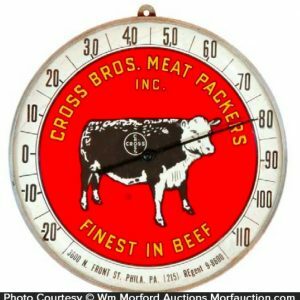 Clean, bright and attractive appearance (displays as a strong C. 8+) although close examination will show a little light denting, minor scattered wear and a few non-serious dark spots (critical grade C. 8/-).